On launch, the TarDisk Pear promised the moon for MacBook users running out of space on their hard drives. The small flash drive uses your SD Card slot to double your existing drive, but there are compromises. As hardware goes, TarDisk is nothing fancy. 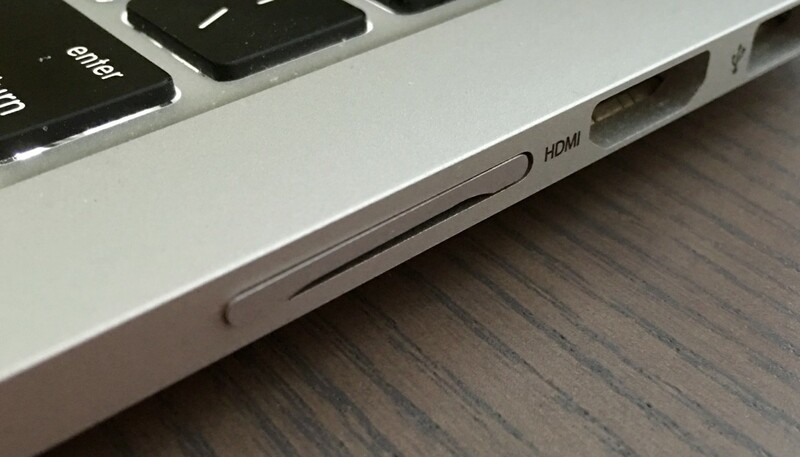 It slips into your open SD Card slot and stays there, landing flush against your MacBook’s surface. It mimics the silver tone of your computer, too. The real pull of TarDisk is its software, which helps you pair and manage your drive automatically. Setting up TarDisk isn’t seamless, but it’s typically not hard, either. I ran into an issue where it didn’t pair correctly to my existing drive, but TarDisk’s support team was quick to walk me though how to finish the process up (I missed a step, so all my fault on that one). That setup process puts TarDisk’s best foot forward, and cleverly merges it with your existing drive for reading and writing files. It’s reverse-hacked from Apple’s own Fusion Drive, which makes the iMac tick. It works, too. After fixing my pairing issue and restarting my computer, I now have a 500GB drive (formerly 251GB). As far as your operating system is concerned, the two drives are now one, and there are no noticeable performance issues. The only issue you’d have is if you removed TarDisk without first un-pairing it. Since it becomes part of your system’s drive, taking it out could throw your computer into a state of confusion; a bad thing for a literal machine. TarDisk’s founder Pierce Schiller tells me that should only be a problem if you’ve got files written to TarDisk, though. In that instance, your computer would be looking for files on a drive that was no longer there. That’s why you’re asked to back your system up ahead of installation. When you un-pair TarDisk, you’re asked to start the system over from a backup. If you’ve got newer files you want to keep — those written to TarDisk, especially — writing them to a separate, external drive before removing TarDisk is your best bet. At least then you could ask your computer to find them in a new spot. But the real question is whether or not you should buy it. As most modern MacBooks lock you into a hard drive capacity when you buy one, the quick answer is yes. Pairing (or ‘Pearing’ in TarDisk lingo) and un-pairing the TarDisk is a touch finicky, but worth it. You’ll lose your SD Card slot, so if you’re managing photos or other documents using that port, a USB SD Card reader should be the second purchase you make. I think the benefits of TarDisk outweigh losing the SD Card slot. While TarDisk isn’t cheap, it’s really the only storage solution that manages itself. You could find a drive that sits flush to your computer and shift files around manually, and that would be just fine. If you’re not fond of that method (and who would blame you? ), TarDisk is it. You can buy TarDisk via Amazon or its website. There are several models depending on which MacBook you have, but pricing for storage options is always the same: $149 for the 128GB model, and $399 for the 256GB TarDisk.